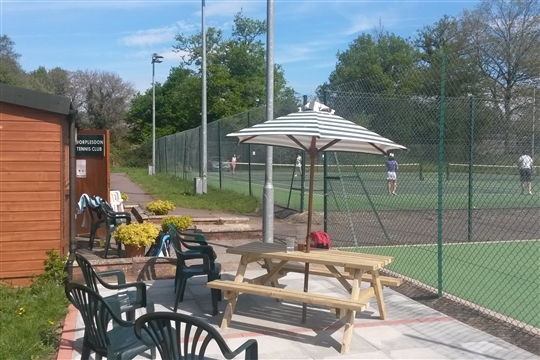 We are a friendly village tennis club based in Worplesdon, just north of Guildford in Surrey. The Club is affiliated to The Lawn Tennis Association and has been granted the LTA's Tennis Clubmark accreditation, recognising the achievement of excellent standards in club tennis. LTA affiliation also means that members can apply for tickets to the Wimbledon Championships each year. From 10.00 to 13.00 on Sunday 28th April 2019, we are holding our annual Open Day. Our affiliated coach, Tim Seymour, will be present throughout. There will be tennis activities suitable for the whole family. It is completely free to attend with all abilities welcome! Details of memberships will be available on the day. 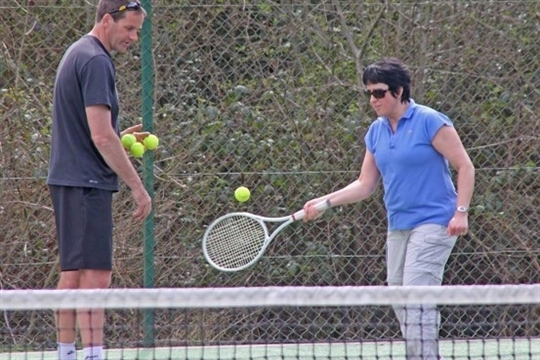 Get in the Wimbledon spirit and try out this fantastic club. Follow Worplesdon Tennis Club on Instagram, Facebook or Twitter for regular updates on club activities. We play on four courts at the far end of Worplesdon Memorial Hall playing fields, where we have a small club house and also share a modern pavilion with the local football and cricket clubs. 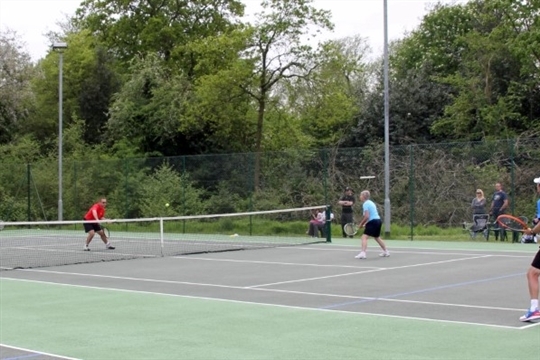 All four courts are equipped with floodlights which members can use free of charge. New members, of all ages and standards, are always welcome. We have no 'playing in' policy as our aim is to provide a village amenity and we offer membership categories to suit all needs.